Escape to Paradise EVERYDAY!! Distinguished style, thoughtful design, and functionality are perfectly balanced within this custom built home tucked away in the unique, upscale community of Indian Lakes located on the shores of beautiful Lake Arapaho. Nestled on 1.23 acres, this home raises the bar by showcasing 4 bedrooms, 2.5 bathrooms, a quaint study, formal dining, breakfast nook and an Additional unfinished 280 sq ft that could be a media room or 5th bedroom with full bath upstairs. The great room features a beautiful wood beam vaulted ceiling and fireplace. The gourmet kitchen is a Chef's DREAM with commercial grade stainless appliances, granite countertops and custom cabinetry. The spacious master suite has a HUGE walk-in closet, separate walk-in shower and garden tub. NO expense was spared on the outdoor living space which features an extensive covered patio, a pool with a gorgeous rock waterfall. 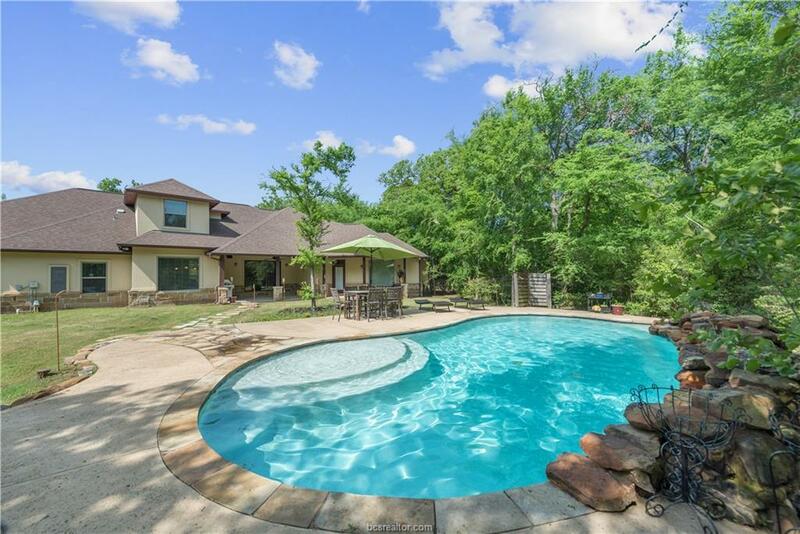 Enjoy the miles of hiking and equestrian trails throughout the unspoiled nature, community pool over looking the beautiful private lake, tennis courts, basketball court and spacious recreation center. This is the "forever home" that you've been searching for -- Call for your private tour TODAY!